Naturalists at the Wissahickon Environmental Center Treehouse are raising and launching monarch butterflies. In the Andorra meadow a short distance above the Trreehouse, Philadelphia Parks and Recreation staffers Christina Moresi and Maris Harmon harvest milk weed leaves on which monarch butterflies have laid their small white eggs. They bring the leaves down to the Treehouse where the eggs hatch into caterpillars. They demand an abundant supply of milkweed leaves to munch on and grow. Moresi has filmed the whole metamorphosis. The grown caterpillars will climb to the top of a screen mesh and spin into milky green colored pupae. As the pupae mature, their casings become translucent and the butterflies' distinctive orange markings become visible. Finally the encapsulated butterflies emerge out of the bottom and pump blood to stretch out their new wings. The naturalists place a small round tag on each newborn's wing and register it in an online database so if it is found in Mexico or en route, it can be identified. Moresi (right in photo) explains that the butterflies which lay their eggs in the Andorra are the fourth generation of butterflies migrating from hibernation in Mexico. Before they are released, the young monarchs are fed a rich diet of nectar and become flight worthy in a tall netted enclosure. The Center announces when they are about to release a group of monarchs. They are bound for Mexico, an extraordinary 2000 mile journey. Chris Levey, a saturnine looking yet pleasant 3-day a week volunteer at the barren- looking Travelers Aide kiosk at 30th Street Station in Philadelphia says that Travelers Aide doesn’t offer all that much. The most common question is where the bathroom is followed by where the BOLT bus location is. 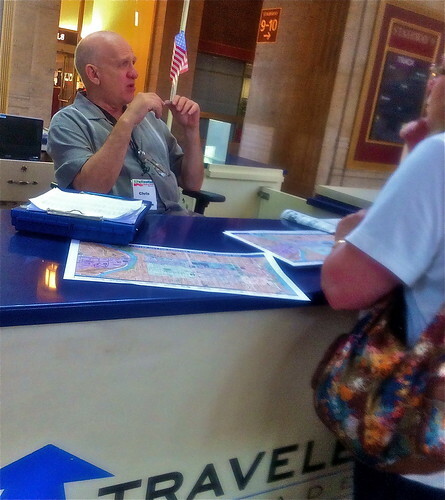 People also ask about tourist destinations and Levey directs them to the Independence Hall area and offers a map. Not infrequently Levey gets approached by people who don’t have money and need a place to stay. 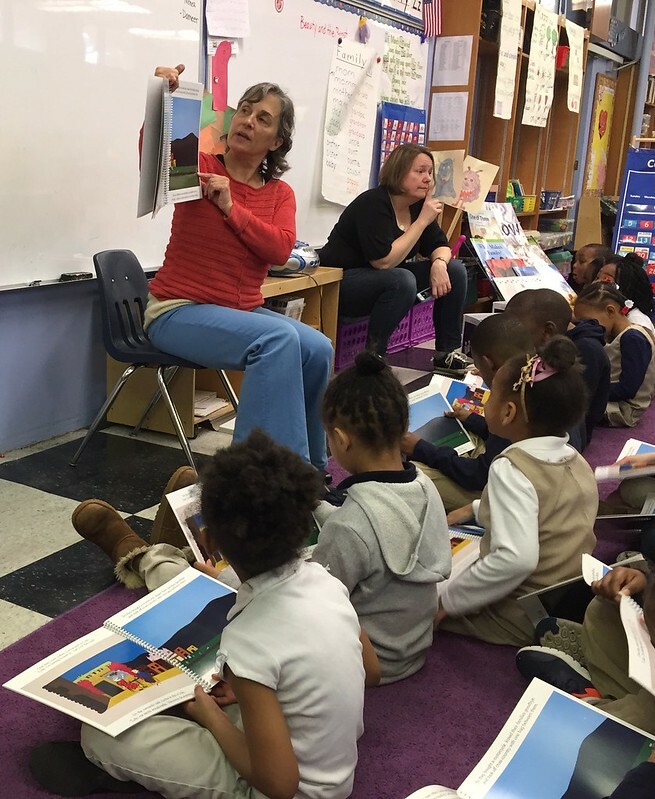 Men he sends to the Roosevelt Darby Center, women to the House of Passage, emergency housing shelters. 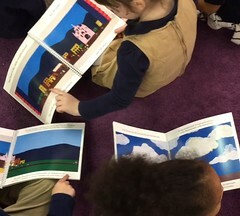 They relate all kinds of stories, he says. A guy the week before said he had come for a job interview, didn’t get the job and had no money to get home. Levey supplies these down-on-their-luckers with a token to get to the shelter. Rashid Abdul/Majid, a practicing Muslim, turns to his Arabic language books during breaks in his substitute-teaching class schedule on a recent day at Parkway Northwest High School in Mount Airy. He is currently studying Arabic, taking one class on the Arabic language- grammar and sentence structure, and another, called Tajweed, on how to recite from the Koran. 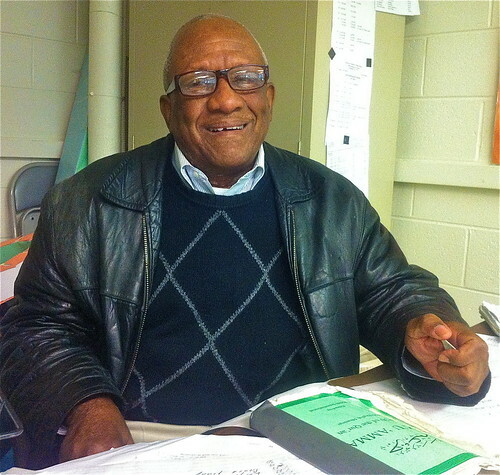 A recently retired driver of 38 years with SEPTA who has been simultaneously substituting for many years, he loves to travel around the world and has visited China and many countries in Africa. During the upcoming March spring break, with his wife and son, he is taking a return trip to the holy cities of Mecca and Medina in Saudi Arabia. Watch video interview here. On a walk around Walden Pond in Concord, Massachusetts we stopped at the site where Thoreau had built his cabin. 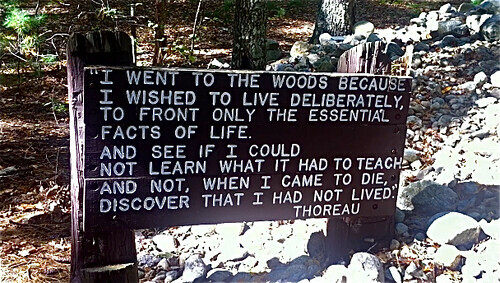 I asked another tourist if she might not read aloud the quote from Thoreau carved on a sign. "I went to the woods because I wished to live deliberately, to front only the essential facts of life, and see if I could not learn what it had to teach, and not, when I came to die, discover that I had not lived." Watch video here. 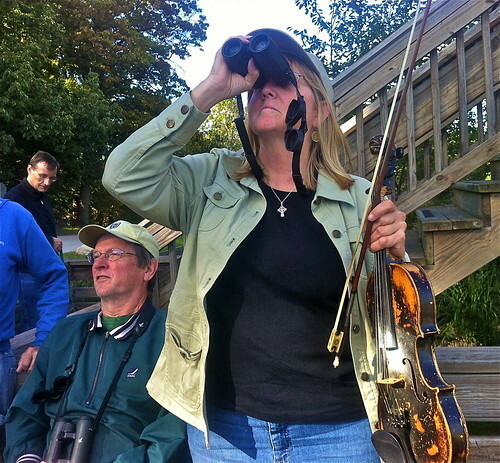 Kate Somerville was a long time birder before banjo playing took over and decided to combine her two interests by bringing some musician and bird loving pals from the Mermaid Inn to jam at the Militia Hill Hawk Watch. This is the 25th year of the hawk watch. Volunteers count raptors, by species, migrating south for the winter. According to Marylea Klauder, they had already counted nearly one hundred bald eagles and a record-breaking twenty plus thousand migrating raptors by the time this video was taken in late September. 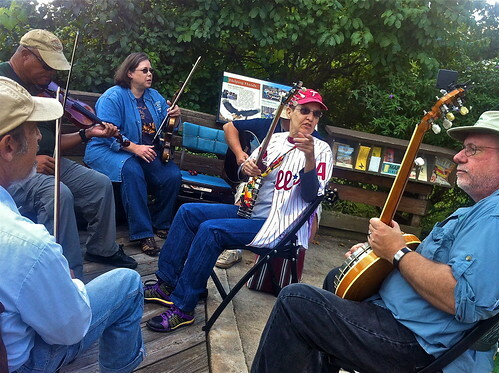 Counting continues until the end of October, along with impromptu concerts, weather permitting. Fort Washington State Park. Watch video here. Alejandro Martinez, an Argentine who works in the agricultural field, was staying in the American Youth Hostel Chamonix Mansion in Fairmount Park while taking in the historical sites of Philadelphia. 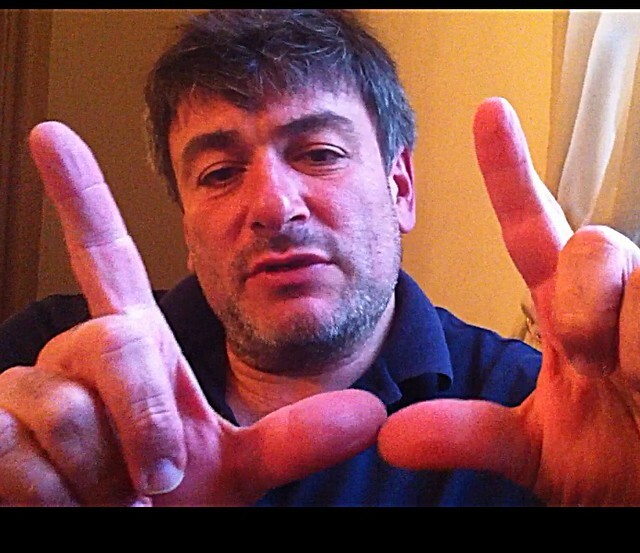 Watch video interview here. 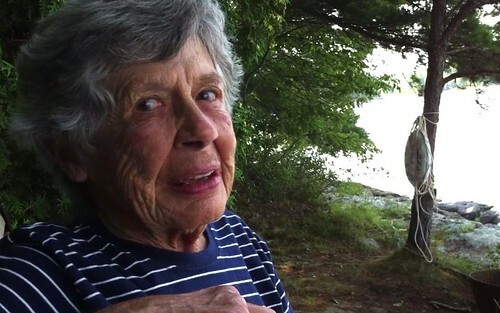 Natalie Kempner says it is a gift to be living in Maine by a river (the Kennebec) at the age of 87. She cherishes the beauty, the constantly changing river,the ice that breaks and goes up and down with the winter tides, the constantly changing seasons. She swam as a kid all the time and if she had had a wish, she says, it would have been to be able to live and swim out her front yard. 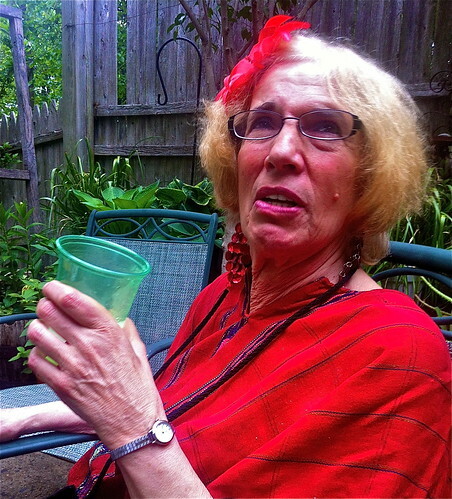 And now she’s had it for twenty years after she and husband Fritz moved from Conshohocken just outside Philadelphia. She enjoys the company of her children and grandchildren and friends and the bustle of visitors in the summer and the quiet time to catch up on things in the winter. A sparkle comes into her eyes as she describes the wildlife all about - seals in the river, foxes and skunks on land, the coyotes walking atop the frozen winter river,and ospreys and eagles up above. Quoting the common Maine slogan, Natalie says it’s “life as it should be.” Watch video interview here. Valentines Day roses - does love hurt? In the 2004 movie, “Maria Full of Grace,” a pregnant young woman trades the harsh conditions of a flower packing operation in Colombia to come to the United States with a friend as a “drug mule.” It doesn't turn out well. 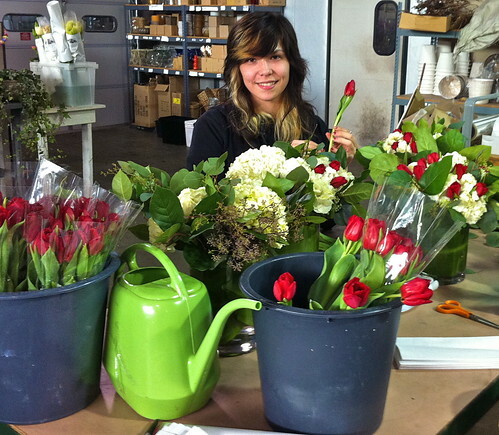 The flower export business is big business. Large, drab greenhouses, like those in Ecuador where “Maria” was filmed, can stretch for miles. From my bus window, I knew the eerily transformed landscape would not be on any picture postcard I would be sending home to the U.S.
Beauty has its cost to both the environment and people, however, according to “The Secrets Behind Your Flowers,” a February 2011 Smithsonian Magazine report. Because it may take three gallons of water to grow just one rose bloom, groundwater supplies become depleted. The low-paying work is tedious and straining. In traditional growing operations, workers are exposed to the dangerous pesticides and fungicides that keep insects from taking the slightest nibble from an otherwise picture-perfect flower. Public outcry in recent years has led to the introduction of fair trade practices. 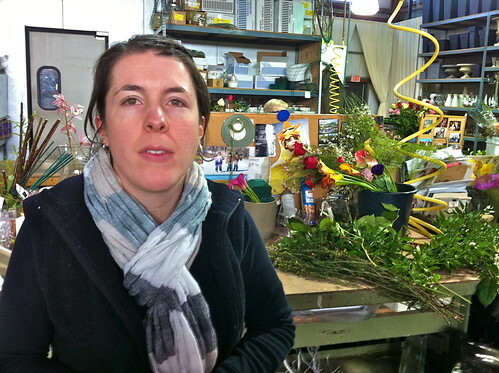 Nicole Serfass, flower buyer at Robertson’s Flowers greenhouses in Wyndmoor, showed off the Veriflora label on the roses they import from South America. Veriflora is one of a handful of certifying organizations that try to ensure that their growers are using sustainable agricultural methods and providing equitable, healthy conditions for their workers. 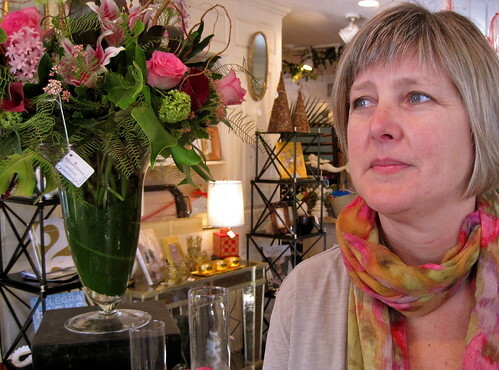 At Robertson’s showcase Chestnut Hill store, Sandy Robertson says they source their flowers locally from New Jersey, domestically from Florida when they can and even sees growing customer interest in organically or sustainably grown flowers. Serfass has been asking their growers about organic but believes it’s not yet economically worth it for them to invest the years required for organic certification. 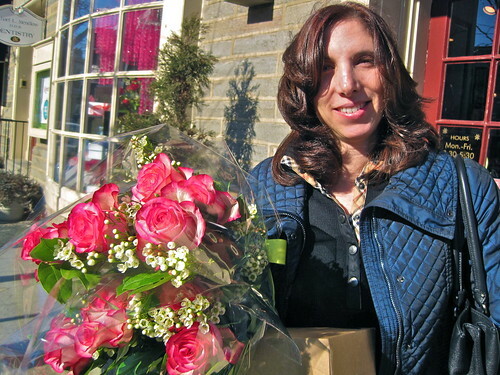 “Aren’t they gorgeous?” Donna Beardell of Chestnut Hill asks, exiting Robertson’s with a brilliant bunch of pink tinged roses, destined for her nieces competing in a gymnastics meet. On Valentines Day, she’s hoping she’ll be the recipient.